McALLEN — United Way of South Texas announced a $2.5 million fundraising goal for its 2017 campaign Wednesday during a breakfast kick-off event at the McAllen Country Club. 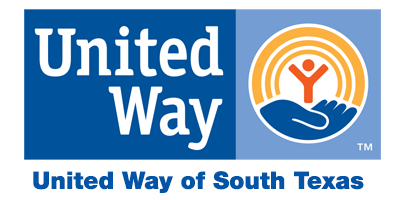 The annual campaign runs from July to December, and campaign Co-Chair Ismael Moran said the United Way has raised approximately $1.1 million, or 45 percent of this goal, thanks to the efforts of campaign pacesetters, which include corporations, school districts and local municipalities across Hidalgo and Starr Counties. Juanita Borrego, parent and migrant director for the Edcouch-Elsa school district, was the featured speaker at the event. Edcouch-Elsa was one of seven school districts that received a grant of up to $7,500 from the United Way last year, said Eloise Montemayor, community relations and public sector associate. The Rio Grande City, Roma, Monte Alto, PSJA, La Joya and McAllen school districts also received grants, which fund school pantries and emergency, basic needs for students, especially those preparing to graduate. “Education is the great equalizer,” Borrego said, sharing her own story of how education changed the course of her life as a young migrant worker. “I would not be standing before you today had someone not told me, ‘you cannot drop out of school. The best way you can help your parents is to get an education.’… My only reason for dropping out of school was to help my parents. Borrego told the audience of campaign pacesetters that children today, especially migrant students, face the same issues she did. She also shared the stories of students who faced struggles similar to hers — students who are homeless or whose parents are in prison or have been deported. “All the programs that United Way supports are so that things can get better — we’re not in the business of giving people a fish, we’re in the business of teaching people how to fish,” Borrego said. The funds raised during the 2017 campaign will support 22 nonprofit agencies and other United Way programs that address health, education and financial stability for Hidalgo and Starr County residents. You can make a tax-deductible contribution by mailing a check to P.O. Box 187, McAllen, TX 78505 or by giving online at http://unitedwayofsotx.org/donate-now/. Donations will help fund the following agencies: American Red Cross; Aurora House; Boy Scouts of America, Rio Grande Council; CASA of Hidalgo County; Children’s Advocacy Center; Community Council of the RGV “211;” Girl Scouts of Greater South Texas; Goodwill Industries of South Texas; Green Path Financial Wellness; Hidalgo Youth Center; Mercedes Recreation Center; Palmer Drug Abuse Program; Serving Children & Adults in Need; Silver Ribbon Community Partners, Starr Co. Victims of Domestic Violence; Su Casa De Esperanza; The Salvation Army; Women Together Foundation and Boys & Girls Clubs of Alamo, Edinburg, McAllen, Mission and Pharr/San Juan.